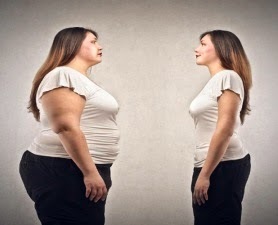 Obesity is a condition in which excess fat leads to impairments in health. It's usually defined as a Body Mass Index (BMI) greater than 30 kg/m² where excess weight is gained due to energy intake exceeding energy expenditure. Obesity isn't just an issue of personal health. The cost to the National Health Service, NHS and to the wider economy - because of increasing time off work - is estimated at about £7 billion per year, of which £1 billion is direct health service costs. Both being obese and being overweight increase the risk of a range of diseases that can have a significant health impact on individuals. The risks are higher as BMI increases for diabetes - the risk of developing type 2 diabetes is about 20 times greater for people who are very obese compared with healthy weight individuals.cancer - 10 per cent of all cancer deaths among non-smokers are related to obesity.coronary heart disease - leading to heart attack and strokehypertension - 85 per cent of hypertension is associated with a BMI greater than 25.liver disease - up to 90 per cent of people who are obese have fatty liver which may lead to cirrhosis. It may be that our genes make us more likely to gain weight. Even children adopted at birth tend to resemble their biological rather than adoptive parents. But it's not known exactly which genes are involved or how they work. Some people who gain weight easily may find that they're less sensitive to the body's message of fullness and therefore continue to eat even when full. How we feel can affect how we eat and some people eat and drink more when they're stressed, depressed or anxious. Others eat more when they're bored or tired which can result in an excess of calories being consumed, without the person always being aware of having eaten these extra calories. It's important to recognise the links between physical activity, exercise and health. Individuals and families alike must take responsibility for increasing the amount of physical activity undertaken in everyday life, especially for children, in order to stay healthy. Government, businesses, local communities and other organisations must support this by creating environments where walking, cycling and other forms of physical activity, exercise and sport are accessible, safe and the norm. It's far more difficult to make healthier choices when those around you are maintaining unhealthy behaviours. Children in particular tend to follow the lifestyle habits set by their parents. Women often let their husbands make food choices which can result in more meat and fewer vegetables. Modern living tends to favour weight gain, affecting both food and activity habits. A competitive market and the demand for cheap food have resulted in an increased production of processed foods. These are foods that are high in fat, salt and sugar, which, combined with powerful marketing strategies, tend to lead to overeating. Alcohol also increasingly contributes to energy intake. In the modern world there are few manual occupations, most people use their cars for routine transport and the need to expend effort and energy in day to day activities has diminished. Sedentary pastimes such as watching television or playing computer games occupy a large proportion of leisure activities and compounds the low energy needs. The Government strategy to halt the rise in obesity in the UK recognises that it can be hard for people to choose the healthy option in a world where the default is often the unhealthy choice. They have committed millions of pounds to initiatives to try to provide greater support to people trying to control their weight. Children: healthy growth and healthy weight. Early prevention to decrease the number of obese children becoming obese adults, eg increased support for mothers to breastfeed and to promote good weaning practices. Promoting healthier food choices. Initiatives to increase fruit and vegetable intake as well as reducing the intake of foods high in saturated fat, refined sugar and salt. Building physical activity into everyday lives. Initiatives to help increase the number of calories a person burns each day, by encouraging people to be active on a regular basis, eg improved facilities for walking and cycling. Creating incentives for better health. Increasing the understanding and value people place on the long-term impact of decisions. Personalising advice and support. Helping those who are already overweight and obese to get the treatment they need. Obesity is not something that happens overnight. It's the result of a long-term imbalance between the amount of energy eaten and the amount of energy used by the body. It takes about 3,500 calories to add about 1lb weight. If you notice that you’re consistently increasing in weight, make an attempt to stabilise this before it develops into a more serious problem. Reduce the amount of calories you consume by choosing lower fat options and smaller portions, and increase the amount of calories you use by performing 20 to 30 minutes of moderate activity every day.